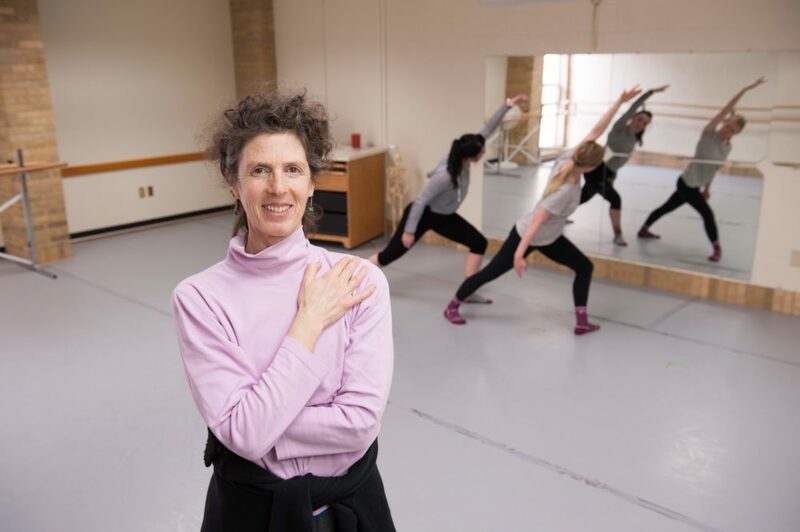 Associate Professor of Dance Melissa Rolnick has been awarded the Prairie Lakes Regional Arts Council Professional Mid-Career Artist Grant. The $3,000 grant, made possible with funds from the McKnight Foundation, allows Rolnick to continue her work with older adults and movement in the Mankato area. Over her decades of experience with dancers and as part of navigating through her own injuries, Rolnick developed a practice called MEISA (an acronym for movement, exploration, imagination, sensation, and awareness). Rolnick describes MEISA as a “somatic and contemplative practice which encourages the cultivation of dance as an ‘art practice’”. Because of the grant, she is able to spend 12 weeks this spring sharing the program with participants at the VINE Faith in Action Adult Community Center in Mankato. Rolnick says that the practice can be adapted to all ability levels, and describes it as an amalgamation of her years of work in dance, pilates, alexander technique, and more recently rehabilitation and aging. The core of the program has been developed out of a combination of an Israeli form of movement called “Gaga”, and “authentic movement”, which both focus on listening closely to the body. Rolnick says this awareness of self is the goal. “To be able to drop into one’s bones and breath, and feel the blood pulsing through one’s body without music pounding in one’s head and is an opportunity to know oneself,” she says. Class information will be available starting in February on the Vine Faith in Action website.